According to the Delaware State Police, in 2012 Delaware saw more than 21,200 traffic accidents. While this may not seem like much in comparison to the 658,000 licensed drivers and nearly nine billion miles driven, a car accident in Delaware can have very serious, even life altering, consequences. When you are involved in an automotive accident in Delaware, it is critical to secure legal assistance right away. This may help to avoid major consequences, such as losing your license or having to pay significant damages to the other parties in a vehicle accident. Even if you feel you may have been partially at fault in an accident, securing an attorney can uncover critical information that will help you in your case. In addition to car and truck accidents, numerous accidents have been logged involving RV’s and boats in the State of Delaware. Regardless of which vehicle your accident case involves, you should contact one of the experienced attorneys at The Freibott Law Firm. Our team can help direct you to information you may need to gather. In many cases, our team can “take point” in contacting authorities, insurance organization and others on your behalf. Most of the accidents caused by motor vehicles lead to injury. Seek medical attention immediately. Sometimes, what may seem to be a minor injury can manifest itself into something greater and be possibly life threatening months or years down the road. A professional opinion regarding your injury may be critical to your case. In traumatic events, like car accidents, memories have been known to degrade faster than other memories. Writing down a recounting of events surrounding the accident should be done sooner than later. You don’t need to share this statement with anyone other than your attorney. This written statement will help to retain a confident version of the events as you go through your legal case. The written statement will also protect you from accidentally making contradictory statements, or simply forgetting details due to the stress of the event. In general, when there is a motor vehicle accident, it is complicated because of the involvement of multiple parties. The term “comparative negligence” is used in Delaware law to help demonstrate what percentage of responsibility you have in the accident. You need to be less than HALF responsible for the accident to collect any benefits or damages from the other party. This percentage is also used to calculate the amount of money you can receive from insurance companies. One of the most common places to experience an injury are in parking lots. Many fender benders may seem minor, but they still result in small claims cases that can cost you money and time. Furthermore, research has shown that auto accidents at low speeds of 5 miles per/hour can result in whiplash and other trauma injuries to the neck and back. Treat small accidents seriously and be cautious when navigating parking lots especially at night. If you have suffered an injury from a car accident that has affected your ability to work, you may be entitled to damages including up to 100% of your lost wages. Contact one of our attorneys specializing in automotive accidents for a free consultation to determine benefits and compensation to which you may be entitled. You may assume erroneously that there is nothing you can do to improve your situation as well as better your statements post-accident. That is simply not true. Consult with the Delaware auto accident attorney immediately. It is best if you request an initial examination with one or more Wilmington DE car accident lawyers as soon after your current wreck as possible. You must do this only soon after appropriate medical treatment is definitely obtained and completed. Our lawyers can help you understand your privileges and options, and how they can best protect your current legal interests post-accident. Injuries happen, of course , and several injuries are simply inevitable. However , in many cases, typically the negligence or irresponsibility of others brings about an otherwise preventable problems for occur. In these situations, injury victims could have a right to follow compensation from the person or party the culprit. If you have suffered a physical injury caused by someone else, typically the legal team within the Freibott Law Firm can assist you seek justice and secure the full fiscal compensation you deserve. Delaware workers who are injured on the job have a right in law to pursue workers' compensation benefits. These kind of benefits cover the expense of medical care and shed wages. Workers’ compensation is a form of insurance policies providing wage substitute and medical benefits to help employees injured throughout employment in exchange for mandatory relinquishment with the employee’s right to prosecute his or her employer for your tort of disregard. While various plans differ, provision is usually made for weekly bills in place of wages, compensation for past and future economic loss, reimbursement or transaction of medical and just like expenses, and advantages payable to the dependents of workers murdered during employment. The idea for workers’ payment insurance is that the decline suffered by staff due to an business injury should be paid for directly by the marketplace in which the employee had been hired and indirectly by the general public. As a result, workers’ compensation is actually a “no fault” system and an harmed employee need not set up that his workplace was negligent in order to receive a compensation merit. Suffering a serious harm can be a difficult encounter for injury victims and their families. Depending on the extent and extent of a person’s problems, he or she may need to seek out costly medical treatment so as to recover from his or her incidents or at least stabilize often the individual’s health. This can possilby be necessary to skip considerable amounts of perform while recovering from the injury, leading to the loss of wages that will put the person in the stressful financial situation. Delaware workers who are wounded on the job have a right in law to pursue workers' compensation benefits. These types of benefits cover the buying price of medical care and misplaced wages. Workers’ pay out is a form of insurance plan providing wage replacing and medical benefits for you to employees injured for the duration of employment in exchange to get mandatory relinquishment of the employee’s right to file suit his or her employer for any tort of carelessness. While various strategies differ, provision could be made for weekly obligations in place of wages, compensation for past as well as future economic reduction, reimbursement or transaction of medical and like expenses, and gains payable to the dependents of workers slain during employment. The idea for workers’ settlement insurance is that the reduction suffered by a worker due to an business injury should be paid for directly by the business in which the employee had been hired and circuitously by the general public. Consequently, workers’ compensation can be a “no fault” system and an damaged employee need not establish that his boss was negligent to be able to receive a compensation honor. Suffering a serious injuries can be a difficult encounter for injury affected individuals and their families. Based on the extent and severeness of a person’s injuries, he or she may need to seek costly medical treatment in order to recover from his or her injuries or at least stabilize typically the individual’s health. It may also be necessary to overlook considerable amounts of function while recovering from typically the injury, leading to a new loss of wages that could put the person in a very stressful financial situation. Injuries happen, of course , plus some injuries are simply inevitable. However , in many cases, often the negligence or rashness, irresponsibility of others leads to an otherwise preventable problems for occur. In these cases, injury victims could possibly have a right to practice compensation from the man or woman or party in the wrong. If you have suffered an overuse injury caused by someone else, the particular legal team in the Freibott Law Firm will let you seek justice in addition to secure the full economical compensation you are worthy of. You may assume improperly that there is nothing you can perform to improve your situation as well as better your statements post-accident. That is not really true. Consult with a Delaware auto accident legal professional immediately. 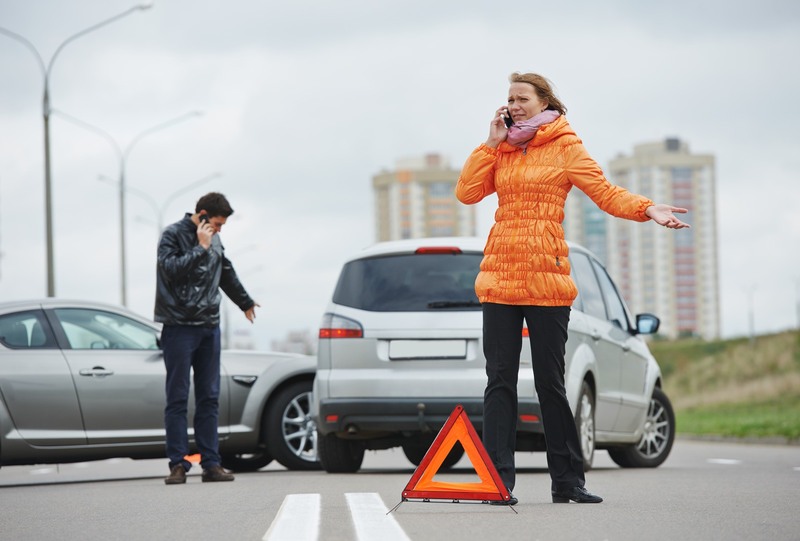 It is wise to request an initial appointment with one or more Wilmington DE car accident lawyers as soon after your personal wreck as possible. You must do this only right after appropriate medical treatment is usually obtained and done. Our lawyers may help you understand your protection under the law and options, as well as how to best protect your current legal interests post-accident. Delaware workers who are wounded on the job have a right to pursue workers' compensation benefits. These benefits cover the price tag on medical care and lost wages. Workers’ payment is a form of insurance policies providing wage replacement and medical benefits for you to employees injured in the course of employment in exchange regarding mandatory relinquishment with the employee’s right to file suit his or her employer for that tort of carelessness. While various plans differ, provision might be made for weekly repayments in place of wages, settlement for past and also future economic decline, reimbursement or transaction of medical and just like expenses, and advantages payable to the dependents of workers murdered during employment. The theory for workers’ pay out insurance is that the damage suffered by a staff due to an industrial injury should be borne directly by the market in which the employee seemed to be hired and in a roundabout way by the general public. Consequently, workers’ compensation is a “no fault” technique and an injured employee need not determine that his company was negligent so that you can receive a compensation honor.